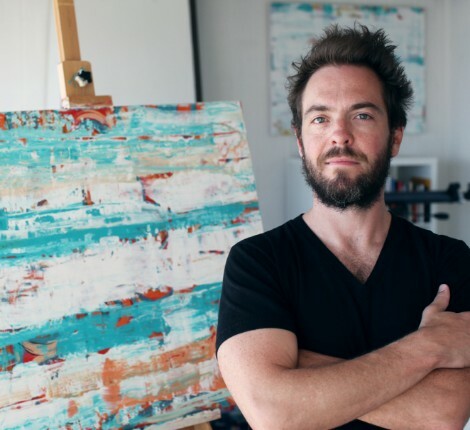 Australian-born artist James Cooper takes his cues – textures and dimensions, rifts and whorls – from the oceanic environment along with an underpinning of inspiration from the mystical and metaphysical. Many of James’ works take months to complete, as he takes his time building images up to a textured crescendo. He has lived and worked in America and Europe. His works are held in private collections in the US and Australia, and he has exhibited in both Sydney and Melbourne.